A Penguin a week: More vintage Penguins in Newcastle (from the wonderful Keel Row Bookshop). More vintage Penguins in Newcastle (from the wonderful Keel Row Bookshop). Last year when I visited the UK with Pam, we had only a few hours in Newcastle and had to confine our search for old Penguins to the city centre. We found plenty, though, because they had boxes and boxes of them for sale at Books for Amnesty in Westgate Rd, perhaps 100 metres from the main train station, all for a pound each. This year I returned to find that their prices were now even cheaper, at three for a pound and eight for two pounds, but the Penguins were not nearly as plentiful. I found only one vintage Penguin of interest, but it was one with a wonderful Alan Aldridge cover. Penguin no. C2339, cover by Alan Aldridge. This year I wanted to stay a little longer in the area, so I booked a night in the small seaside village of Whitley Bay, located about 30 minutes away by metro. And three stops on from Whitley Bay is North Shields, home to the wonderful Keel Row Book Shop. Taking into account the breadth of their stock, the friendliness of their staff, and their wonderfully reasonable prices, I think it is my favourite second hand bookshop in all of England. I'm very grateful to Steve Lowe for suggesting it. The Keel Row Book Shop is like a multi-storey house comprised of many rooms, with every wall in every room lined with floor to ceiling bookshelves completely filled with books. On the top floor they have a room predominately devoted to Penguins. It can be seen in the photos below that they carry an extensive range of many of the various vintage Penguin series, including the main series, the Penguin Classics, the Penguin Poets, and the Pelicans. And then across the landing, in a different room, they have a double-stacked shelf of green vintage crime. Almost every book I picked up was priced between one and two pounds, and I left the store with 34 more Penguins. I was fortunate enough to be in the area on a Saturday morning when they hold the Tynemouth undercover market across both platforms of the Tynemouth metro station, two stops on from Whitley Bay. It is an eclectic market of books, antiques, records, home-cooked cakes, gourmet foods, and the ever-present cupcakes. But there was one wonderful stall there stocked with a variety of old books, including Penguins, Pelicans, Ladybirds and hard-backed Enid Blytons. And the Penguins were all very old, and very low-numbered, and so I found 7 more books to add to the collection. A small section of the wall devoted to Penguins. Blue Penguin Biographies, cerise Travel and Adventure, & the variously coloured spines of Penguin Science News. In another room, a double-stacked shelf of Penguin Crime. Tynemouth metro station, Saturday morning. And my favourite stall, offering vintage Penguins, Penguin Classics, Pelicans, hard-backed copies of Enid Blyton titles, and early Ladybirds. How lovely, Karyn! My next visit will definitely include more bookshops. Happy hunting! Good lord! Penguin heaven! I've never been to this part of the UK but now I'd be tempted just for the books. Any sign of Dracula in Whitley Bay? What lovely bookstalls - you are having a wonderful trip! I too would love to holiday again in the North East, and the Keel Row BS looks wonderful. Glad that you were able to find Keel Row Books, its always produced the goods for me. It has been there for years, with three different owners but has been a bit of a rummage in the past - which was fun but took forever. Tynemouth Market is always worth a trip too and they have quarterly Book Fayres where you could spend a whole day browsing. Prices there can sometimes be slightly higher but I have also picked up loads of superb bargains. Do you know, if there was anything like the Keel Row bookshop in Madrid, it could cure me of my pathological fear of bookshops! And that's saying something. 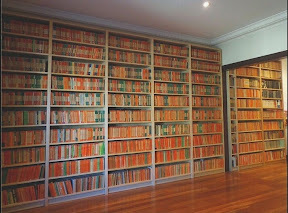 Do you go round the world looking for old Penguin books? I wish I could, but mostly I stay in Perth studying maths and ferrying three kids to their various activities. But whenever I go on holiday I try to visit as many second hand bookshops as I can, in the hope of finding vintage Penguins.